InTech is one of the biggest publishers of Open Access scholarly books and among the first to engage in such a publishing process. In 2005, InTech had its first books started and on our fifth anniversary, in 2010, we released the new and the updated version of our first book ever published: “Cutting Edge Robotics 2010”.For a while, InTech’s leading publication was an Open Access journal, International Journal of Advanced Robotic Systems. The journal was also InTech’s first publication when the firm was founded in Vienna, in 2004. Not all of the attention remained on journals as it was eventually refocused on books, which are different from journal in that they consist of chapters that deal with one specific topic. As research tends to become more collaborative and the online data exists in plentiful supply, the researchers must be careful not to lose focus. The idea is that the book presents a less dispersive collection of scientific analyses. However, our journals remain published as well as books, at highest standards. Today, we strive to present our collection of more than 43o freely available books to a broader academic public. Immediately upon launching our reading platform InTechOpen, in 2010, the OAI protocol has been implemented to our system which allows for citation indexes, scientific search engines, scholarly databases, and scientific literature collections to gather the metadata from our repository. The optimization of the technical and organizational efficiency of our publishing process has been finally awarded with TrustE’s privacy seal in 2010. InTech exposes metadata to search engines in order to secure a stronger visibility of our authors’ work and higher citation ranks, but it also safeguards our authors’ personal information. Latest download figures which easily reached 2,500,000 in the year 2010, indicate the rush on research information that has traditionally been locked up behind pay-walls. 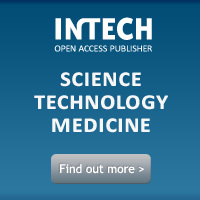 Such a disruptive potential of Open Access publishing technology is a constant inspiration to both InTech’s founders and to InTech’s team.